The chemical capsule CCS is a high performance rapid cure. 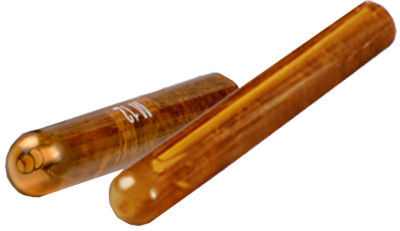 Spin-in chemical anchor system is based on optimum measured proportions of high strength epoxy acrylate resin, chemical activator and quartz aggregate sealed in a glass capsule. It is a fast install, simple to use system requiring no special tools and provides high strength stress free anchoring in concrete and solid masonry. The system operates by spinning a chisel ended anchor stud using the required drive adaptor through the capsule using a rotary hammer drill which crushes and mixes the contents in the drill hole and initiates the curing process, the stud is left in position to fully cure and from a high strength bond which is stronger than the base material. 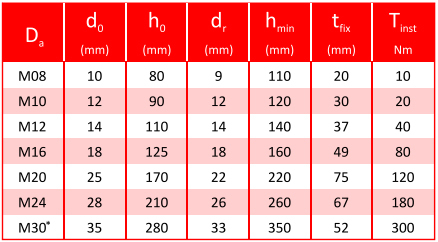 Capsule sizes are drill hole specific from M8 to M30 diameters. 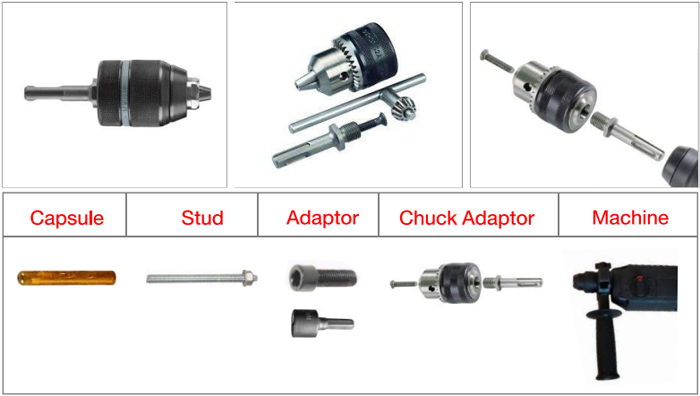 The system can be used with longer than standard threaded bars combined with multiple down hole capsules, studs should be cut chisel ended and separate drive adapters are available for connection to a drilling machine. The system is designed for static and dynamic heavy duty anchoring of anchor studs Into vertical and horizontal drill holes in reinforced and non-reinforced concrete, solid masonry, rock and stone. • Flush finish, no projecting bolt after dismanting the fixture. Primarily used where anchor consistency is required and injection resin use would be prohibitive or inconvenient. Due to the viscous nature chemical capsule CCS is not suitable for overhead installations or perforated and hollow substrates. The hand operated blow out pump BP is for drill hole cleaning prior to anchor installation.